As vehicle ownership grows in cities worldwide, it becomes increasingly important for cities to implement well-designed bus systems that improve road safety for all users. Photo by Mariana Gil/EMBARQ. Every year, more than 1.2 million people die in traffic crashes worldwide, equivalent to nearly five Boeing 747 plane crashes every day. As developing economies grow and private car ownership becomes more mainstream, the number of associated crashes and fatalities will continue to rise. The challenge of traffic safety often flies under the radar in cities, where the social and economic challenges of accommodating growing populations take precedent. Without meaningful change, however, the World Health Organization (WHO) projects that traffic crashes could become the fifth leading cause of premature death worldwide by 2030. This takes a particular toll on cities, which are already home nearly half of global traffic fatalities. City leaders must prioritize traffic safety measures to ensure that their citizens have safe, healthy, and economically prosperous cities to call home. One of the best ways cities can become safer for all is through sustainable transport systems like bus rapid transit (BRT), which now serves 31 million people in more than 180 cities every day. BRT can make mobility safer by providing accessible and efficient infrastructure for moving people, not cars. For example, in Guadalajara, Mexico, just one lane of the Macrobús BRT corridor traveling in one direction transports 5,000 passengers per hour. Normal traffic lanes in Guadalajara can accommodate only 3,194 passengers per hour, and saw 726 crashes in 2011. Macrobús saw only six accidents in the same year. The growth in BRT and bus priority systems worldwide presents an opportunity to save lives and improve the health and safety of cities. A new report from the WRI Ross Center for Sustainable Cities’ EMBARQ initiative and endorsed by the World Bank, Traffic Safety on Bus Priority Systems, shows that high quality public transport systems can improve traffic safety, reducing injuries and fatalities by as much 50%, seen in cities like Guadalajara and Ahmedabad. The report contains evidence-based planning and design recommendations that help cities make streets safer for all road users. Distributed and pilot-tested in major cities like Rio de Janeiro, Mexico City, and Istanbul over two years, these recommendations address design strategies to make bus priority systems safer at intersections, transfer stations, pedestrian crossings, and more. Creating safer, well-designed bus corridors can prevent pedestrian fatalities, more than half of which occur on bus corridors with limited pedestrian protections in place. 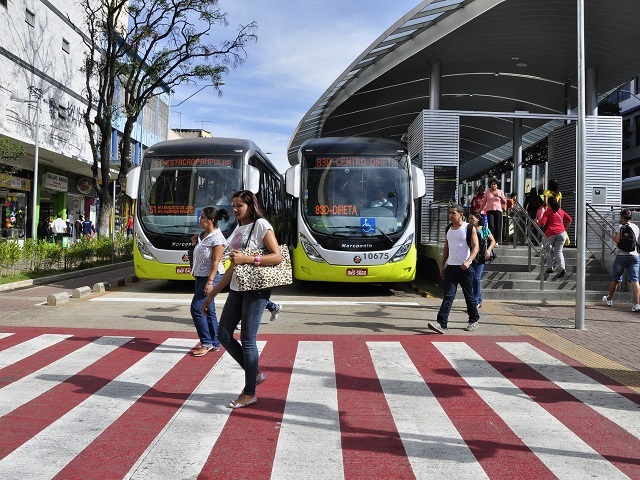 Additionally, the typical Latin American BRT system has been shown to provide numerous economic benefits to cities, of which safety impacts account for between 10 and 16% through a reduced burden on the healthcare system. With steadily growing daily ridership, BRT and bus priority systems provide a prime opportunity for improving the safety and sustainability of city street and transport design. The findings and recommendations included in this report will help transport planners, engineers, and urban designers develop the best solutions for their cities’ specific challenges and create safer, more accessible cities for all. Most importantly, they help city leaders around the world properly integrate traffic safety into transport policy, finance, planning, and design.